Primarily a Scout Hall, but regularly used by local community groups as well as many private hirers. Located on the Marston Road, a main road between the bypass and City Centre. Parking is limited and mostly residents only until 5pm weekdays (no restrictions at weekends). Popular for parties, discos, band practices, and meetings. The building comprises one large main hall, separate toilets for ladies, gents, and disabled, a smaller meeting room, and reasonably sized kitchen. Lots more info on the website. Availability: Available every day from 0900-2300 (sometimes outside these hours on request), however, there are some regular users, such as the Scouts who have priority. Check the online diary for availability. Hire Costs: £50 deposit on all bookings. Hourly rates start from as little as £10 per hour. 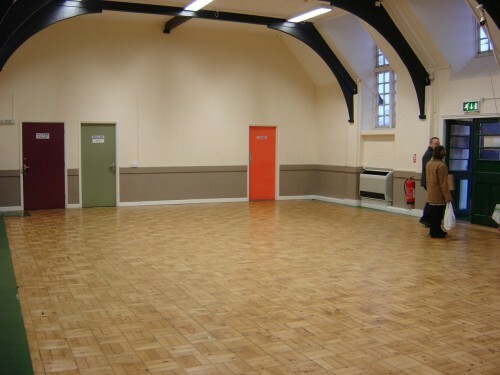 There have been 0 reviews of 10th Oxford (Marston) Scout Hall. Perhaps some of the following halls within 5 miles of 10th Oxford (Marston) Scout Hall would also be of interest?